Customer interface and communications unit for use in Airports, Care dealerships, Shopping malls and fast food outlets. Digitrol was approached by a German facilities management supplier to provide a unit that could interface and communicate with their customers at their very many customers sites all over Europe. Our task was develop systems that could interface both the end line users in this case customers at Airports, Car dealerships, Shopping malls and Fast food outlets and the facility management central SQL data basis providing real time data of thousands of queries and orders. The system developed by Digitrol had to be meet very high demands for styling, user interface ease, robustness and very competitively priced. We also developed mobile battery operated and wifi connected solutions specifically for Munich Aiport. Digitrol is a supplier the British Navy both Directly and Via Companies such as BAE Systems, Ultra Electronics and Chelsea technologies to name a few. Recently Digitrol was tasked with upgrading 18 Ship sets of their bridge consoles. 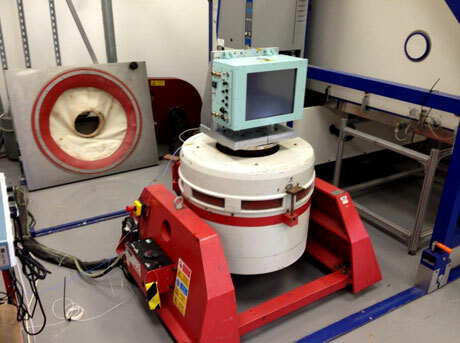 This involved a total re fresh of the technology and re-confirmation of all performance and environmental testing including EMC, Vibration and underwater shock simulation tests. This demonstrates our ability to design and test equipment to the exacting standards and norms of the Military including deployment into nuclear submarines.